We have planted over 1500 nut trees and shrubs over the last three years. 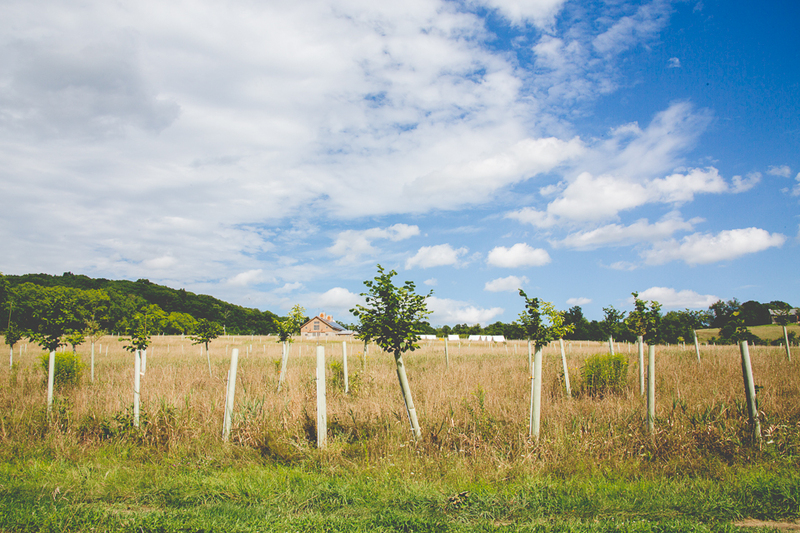 Our groves include Chinese Chestnut, Black Walnut, Hazelnut, Hickory and Pecan trees. The fruit of these trees will be one of the main plant-based protein sources produced at Q Farms. We will use the nuts as a primary ingredient in our protein bars, combined with our honey, fruit and local grains. We'll also feed nuts to our pigs, following in the footsteps of many European traditions of finishing pigs on tree nuts by grazing them under the orchards in the fall when the trees are full of fruit. Many generations of this practice around the world has proven that nut-finished pigs have excellent quality meat. Our nuts are not currently for sale. Sign up for our newsletter to be notified when we have it back in stock.